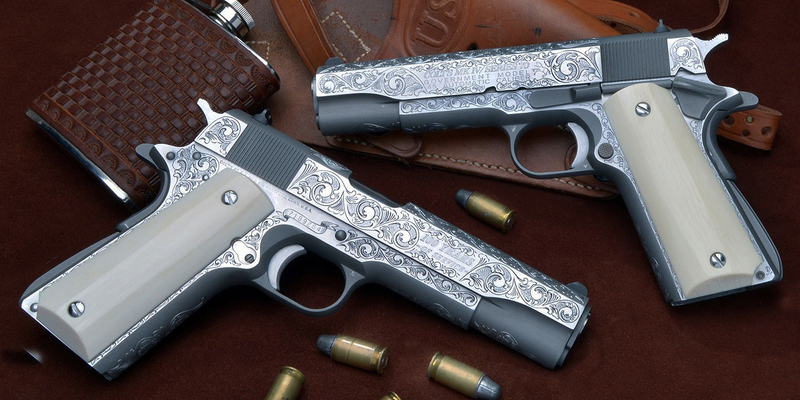 Your source for quality custom engraving for all firearms and knives. Specializing in guns of the Old West and 1911s. I might be working in your part of the country/world! See my SHOWS page for locations. My Shop has moved ! Come visit me at the new Cherokee Firearms and shooting range ! Thank you for visiting!! I hope this site will help make you familiar with my work and me (as much as that is possible to do in this electronic medium). I find that the web and e-mail are fine for initial contacts, but by the time you have decided to have me engrave for you, personal contact is a must, either by phone or face to face at one of the many shows I do. I have been engraving, full time, since 1979, beginning with Scrimshaw (The Art of Engraving on Ivory). I learned to make silver and gold jewelry so as to mount my scrimshaw and soon began hand engraving jewelry. I progressed into knife engraving (which is still a large part of the work I do), perfecting my engraving skills until the time I cut my first gun in 1988. 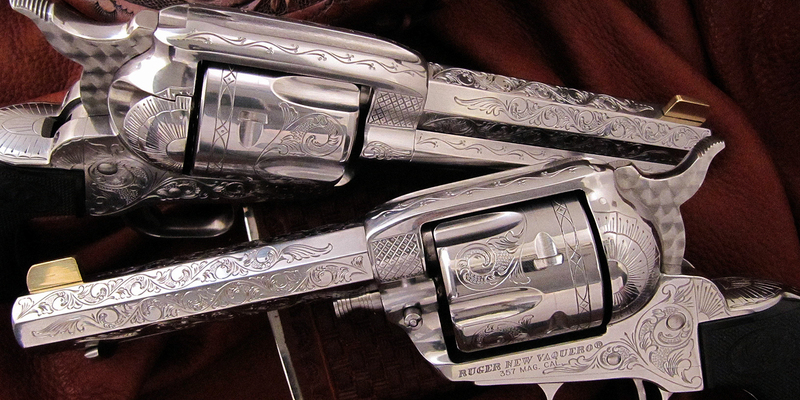 Since then I have engraved an average of 50 guns and dozens of custom knives a year. 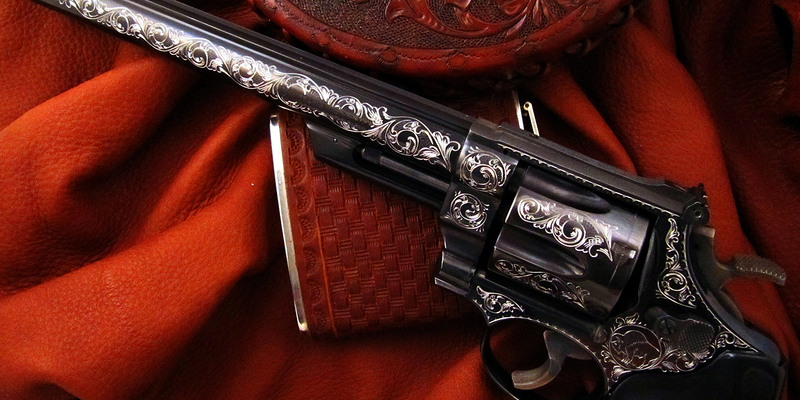 I have included in my Gallery of Guns photos of Revolvers, Semi Auto Pistols, Bolt Action Rifles and Floor Plates, Shotguns, and several pages of photos of Lever Action Rifles and Single Action Revolvers used in Old West Shooting which has become, in the last few years, very popular and a focus of much of my work and style. My work reflects the great engravers of the mid to late 1800’s, such as L.D. 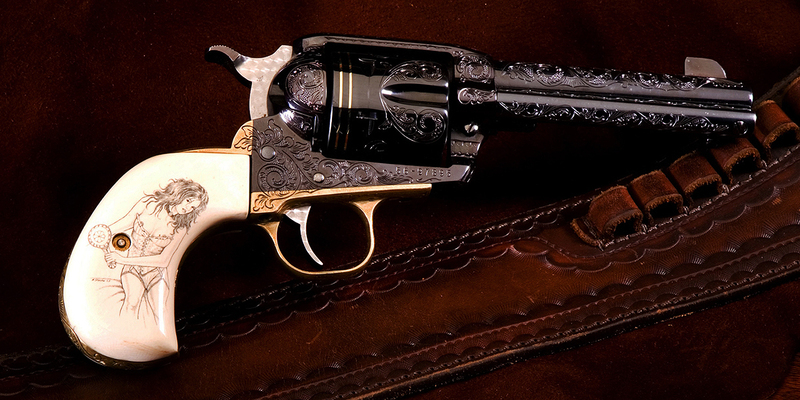 Nimschke, and is now an exceptional style for the guns of the cowboy shooter. Most people find my prices very reasonable with the average gun I cut at only $800-$1200. Pricing depends not on the material I cut, whether stainless steel, brass, blue steel, etc., but on the amount of detail, background, and coverage. 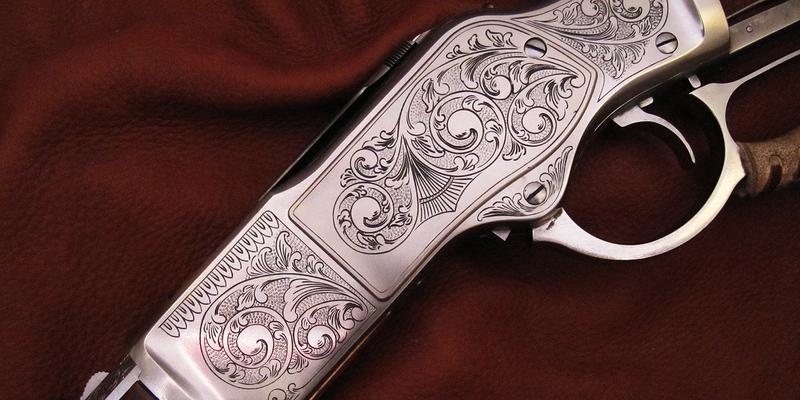 In addition to my engraving I offer some refinishing, bluing, and gunsmithing services. For many years now I have done shows and shoots through out the country and world, working at each show, demonstrating and explaining the art of engraving, which most folks have never seen done. This has lead to a formal class I give at my shop in Springfield, Missouri. Through demonstrating, personal contact and prompt, affordable service, I have built many rewarding relationships with promoters, dealers, and shooting enthusiasts throughout the country and the world. I look forward to a similar relationship with you. 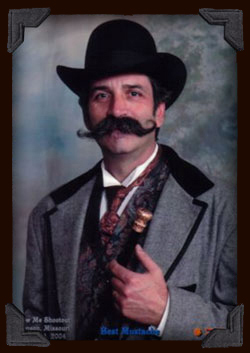 My forte is scroll in the style of the 1880s on “Guns of the Old West”. 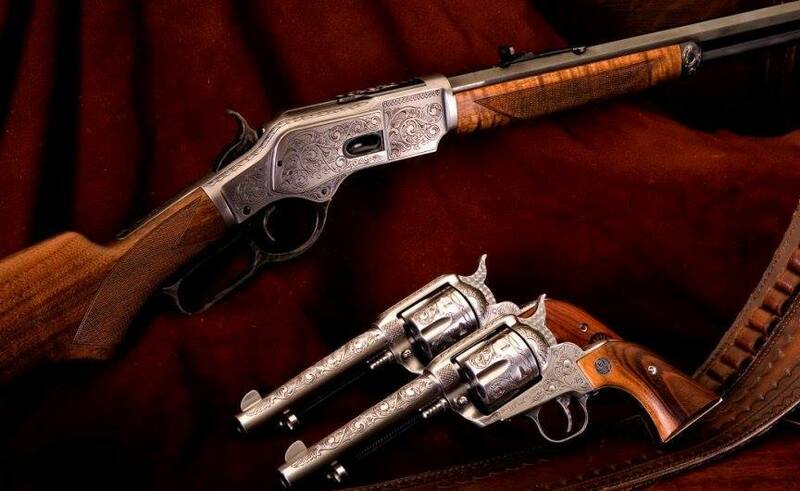 Single Action Six Shooters, lever Action Rifles and 1911s keep me busy and are what I do best. Being almost a year behind, in an effort to keep up, these are the guns I am taking orders on at this time.